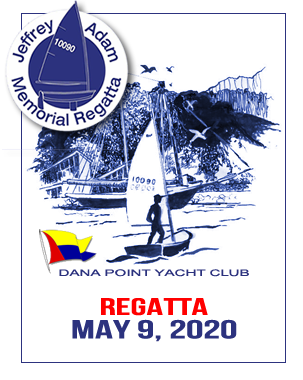 The Jeffrey Adam Memorial Regatta is an annual event that is the result of the cooperation of the yacht clubs, Sea Scouts, and sailing school that have their homes in Dana Point Harbor. Jeff was unique in that he participated in all of them at one time or another. 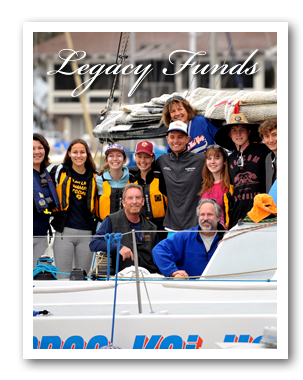 The Jack & Eileen Taylor family has thought of the Dana Point Harbor Youth Foundation for donations in Eileen's memory. Donations will be directed to scholarships, swimming and life saving education and training. Dana Point Harbor Youth Foundation received the GuideStar Gold level logo, a leading symbol of transparency and accountability provided by GuideStar USA, Inc., the premier source of nonprofit information. The logo demonstrates the Foundation's deep commitment to nonprofit transparency and accountability. In order to be awarded the GuideStar logo, Dana Point Harbor Youth Foundation had to complete every requirement of our nonprofit report on GuideStar.org for the Gold level of recognition.